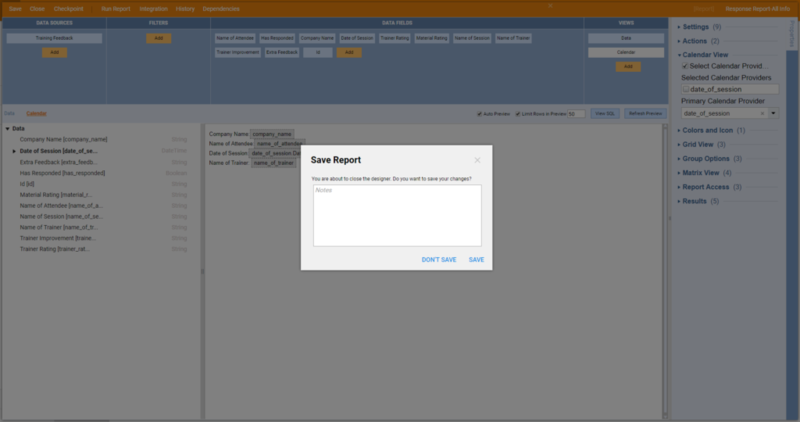 The Report Viewer can be configured to display report information in a multitude of ways. This gives the user freedom to choose a mode that is appropriate for the situation and information. 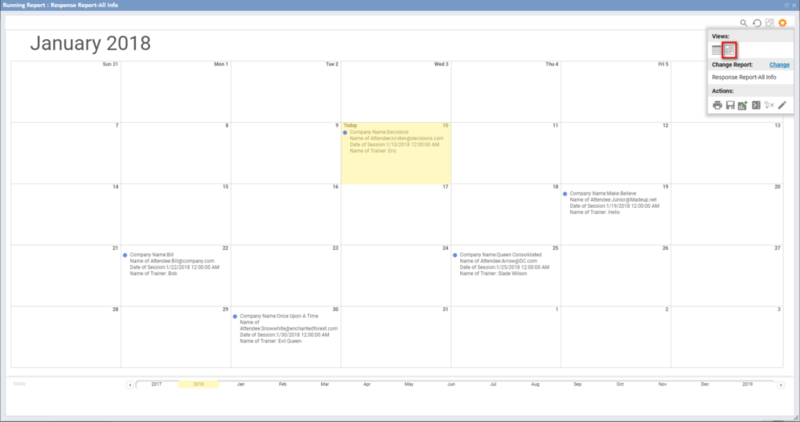 The Calendar Summary	mode displays the information in a standard calendar format based on user selected settings. Display the report information in Calendar	mode. To begin, navigate to a Designer Folder	and click the Edit	link on an existing report. 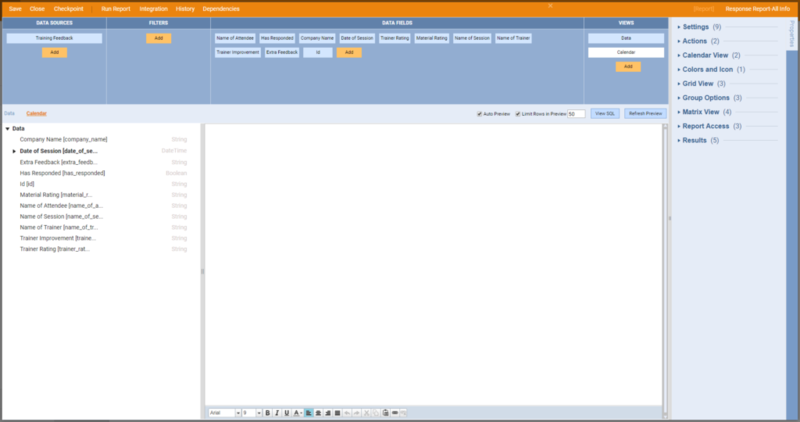 In the Report Viewer	, in the Views	section, click the Add	option to display the menu options. Select the Calendar Summary	option. The Calendar Summary	configuration workspace is displayed and a Calendar Summary	option is added to the menu bar. 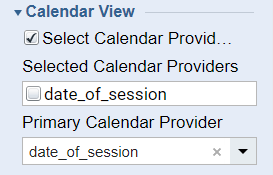 Next, configure the Calendar Summary	to display the desired information. For example, “The folder entity id is: “[Id]	. Enter the text then drag the appropriate option from the menu on the left. 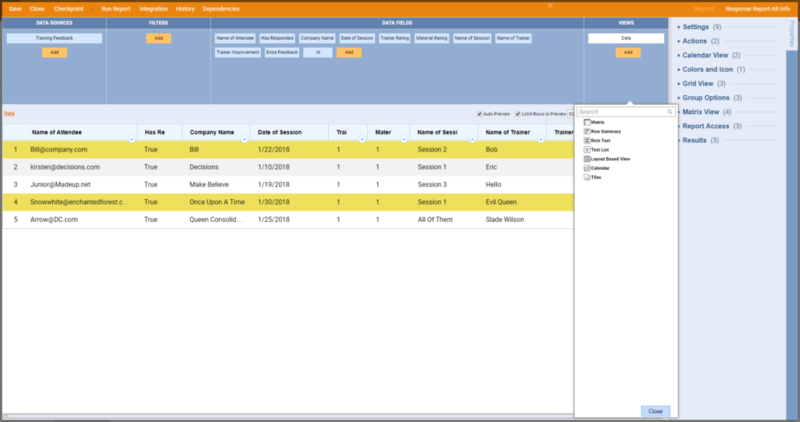 In the Properties Panel	, users can select how the calendar will display the information. Click the Primary Calendar Provider	drop down list and select the modified_date	option. This tells the report to display the information on the date the entity was last modified. The report is now configured for Calendar Summary	view. Save it and close the Report Designer . 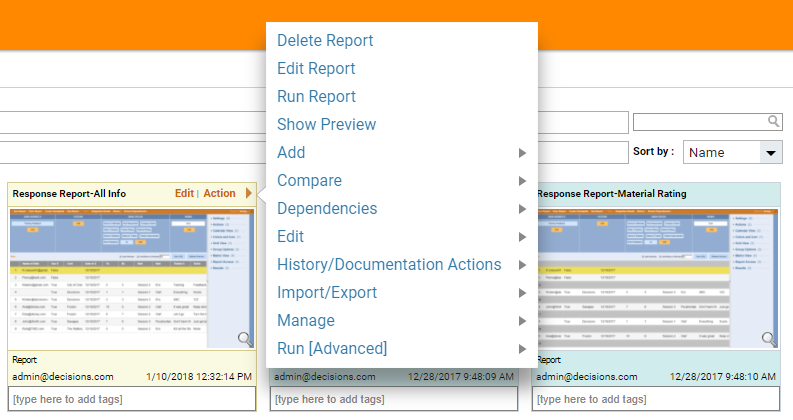 Back in the portal, select the Run Report	option from the Action	menu. 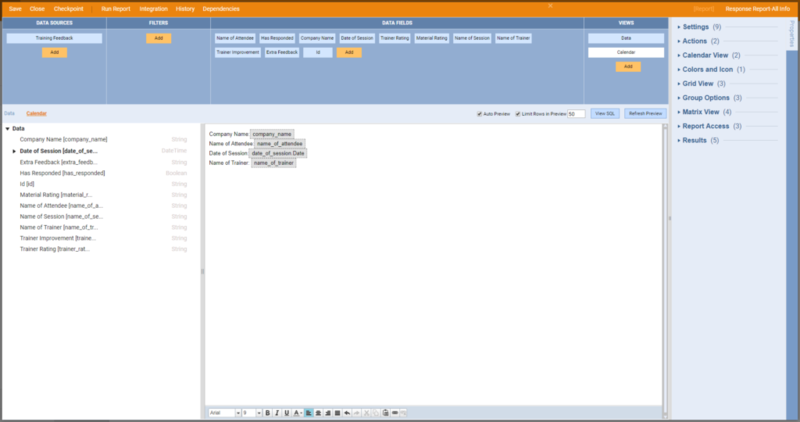 By default, the report viewer will open and display in View Mode:	Grid	. To view the report in calendar format, click on the new View Mode: Calendar	icon. Note: a Calendar Summary	option must be configured in order to view a report in Calendar View Mode	. Notice the entity was created on the 4th, but is displayed on the 7th based on the Primary Calendar Provider	chosen.